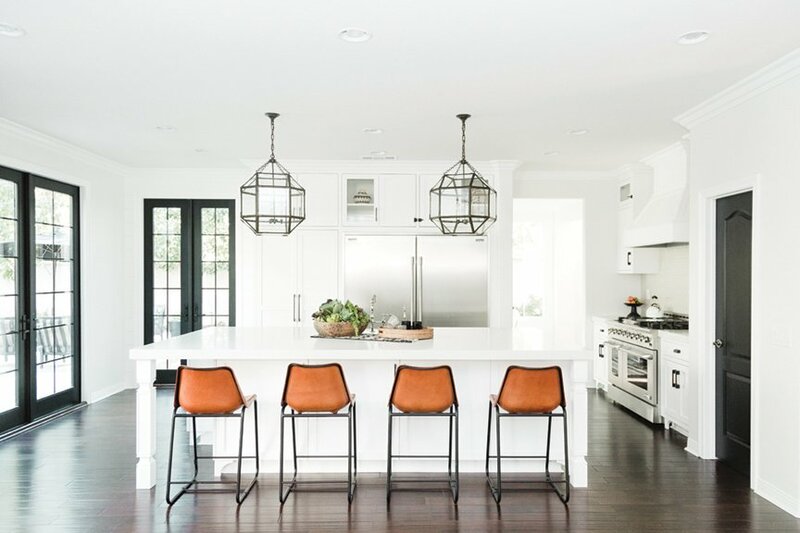 The biggest headache for an outdated, dark kitchen in a San Elijo Hills home was its centerpiece: an odd-shaped, two-level island with one counter so high it was too tall for barstools and one counter so close to the east-end wall it was, for all practical purposes, not accessible. 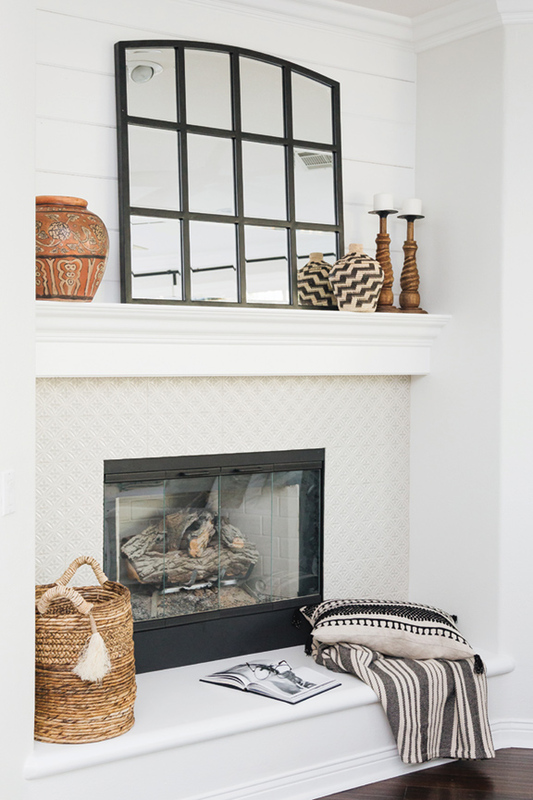 With two children, ages 2 and 4, Theresa Bowen’s main concern was in making the space functional for a family of four. 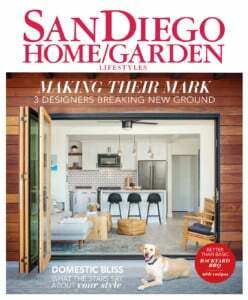 By blowing out one wall and adding a double set of French doors, that indoor-outdoor feel everyone in San Diego County wants became a reality—and light for the room became a non-issue. 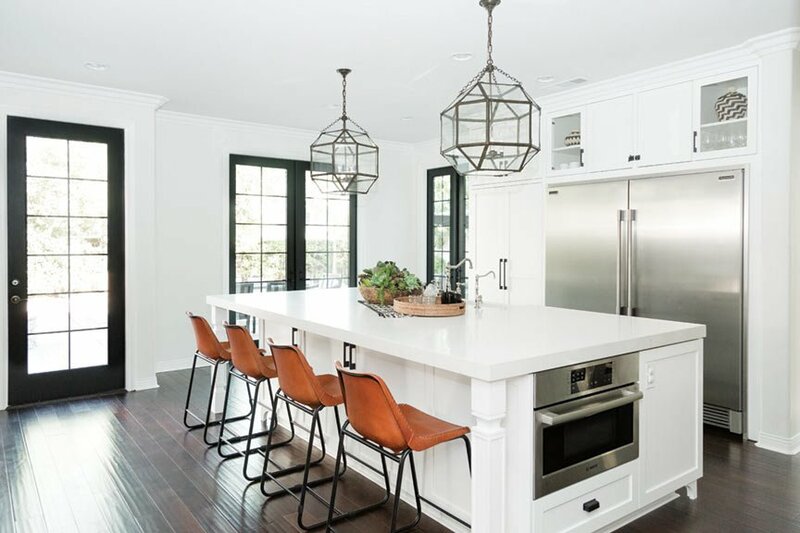 A new, rectangular-shaped island seats six and has plenty of useable countertop space for food preparation and gluey art projects (and, although its top looks like marble, thankfully it’s easy-maintenance quartz). Snow-white walls and cabinetry are the perfect backdrop for sable walnut flooring, ebony matte cupboard pulls and doors painted stark black. “The hardware gives the kitchen a little contemporary, modern feel but we have traditional crown moldings, hood, island legs and faucets,” Susanna says. A textured backsplash wall brings more dimension and detail to the space. 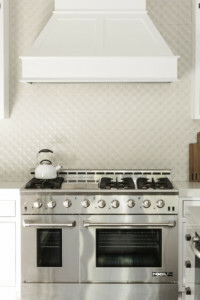 Its silvery medallion pattern echoes stainless-steel appliances and the minimal gray veining on the island’s countertop.